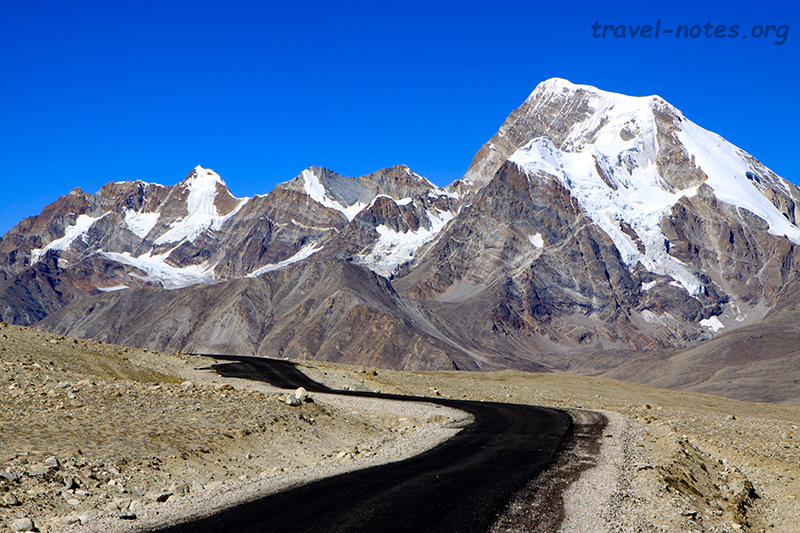 Ladakh just happened in June and it was just October. That is no time for enough water to have flown down the Mula Mutha, tepidity of monsoons notwithstanding, for us to have forgotten the dizzying altitude or the spectacular views. There is but one way to keep the views and lose the sickness and it goes by the name of Sikkim. But getting there is no mean task. Somewhere during the arduous 20 hour haul, between the two-legged flight and a back breaking seven hour drive in pouring rain to Gangtok, we started to doubt the soundness of our choice. The ordeal did finally end when we found ourselves in a cozy hotel in Gangtok, the only city/town/village/attraction of any sort in Sikkim that I could name before I started researching my holiday destination. The dreary weather continued through the following day forcing us to restrict ourselves to predominantly indoor sights. Our first stop was the Rumtek Monastery, the seat of the Karma-Kagyu sect of Tibetan Buddhism since 1959 - when they were forced to leave Tibet after the Cultural Revolution. Unusually for a monastery, Rumtek is heavily guarded by the Indian Army to prevent a repeat sneak attack by supporters of one of the factions in the ongoing war of succession of the Karmapa throne. Evidently, Buddhism is a religion of peace preaching detachments from worldly pleasures and possessions. After a quick in-and-out of an older monastery in Rumtek and the Tibetology Museum in Gangtok, we spent the rest of the afternoon people-watching from one of the eateries on the MG road – one of the very few places in India where the right of pedestrians to walk trumps the divine right of the motorists to run over them. It certainly bettered the only other option in town on such a rainy day – binge watching Singh Is Bling in the nearby multiplex. The following morning we drove to Tsomgo (for some unknown reason, it is pronounced as “Changu”), a high altitude lake, which at an elevation of 3,780 m is high enough to be above the rain clouds. After watching the picture perfect lake change its colours from viewpoint to viewpoint, we drove around the high altitude region till we ran out of fuel thereby avoiding going back into the rains below for most of the day. Rain, rain went away mysteriously the next morning as we woke up to a spotless blue sky and a jaw dropping view of the Kangchenjunga range, that too from the comfort of our hotel room. 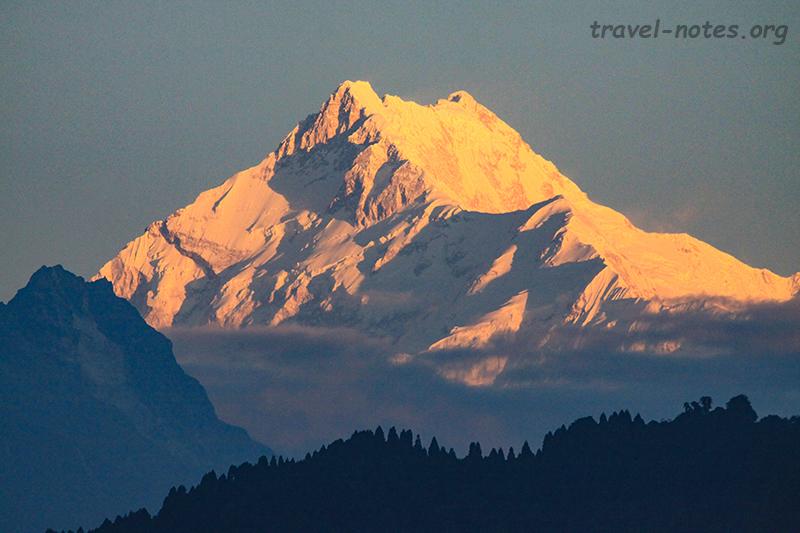 At 8,586 m, Kangchenjunga is the third highest peak on the planet. It was assumed to be first till 1852 when someone decided that it was about time an actual survey was conducted in the region. The only thing that could have dragged us from our hotel balcony was the actual plan for the day: a four day exotic adventure to North Sikkim. The roads (which accounts for the adventure bit) went from bad to worse and curves on them went from sharp to hairpins while the scenery (which accounts for the exotic bit) became increasingly dramatic. We ended the day at Lachen, a non-descript town half way up one of the two valleys in the region. After pretending to sleep for a few hours in cold Lachen, we started inhumanely early at 3 am towards the crowning glory of the region – an uber high altitude lake: Gurudongmar. The roads went from worse to imaginary and curves from hairpins to helices as we dodged Himalayan sized boulders taking 4 hours to negotiate the 75 kms to the lake. The destination, however, was worth every bit of the effort, the stunning mirror-like reflection of the mountains making the setting indescribably surreal. Incredible India has decided that the lake is for Indian eyes only. Them foreigners can never be trusted. They are known to steal such pretty lakes and sell it in the black-market. Meanwhile, the idiot in me decided that this is the perfect place to show that idli eating Madrassis are no less fit than Sikkimese (amongst whom is our last football captain) by running up the 20 odd steps to the car park from the lake shore. At a head spinning 5,200 m, that was enough to give me a blackout. I have no recollection of how I made it back to the car or how my camera had so many stunning lake pictures. After many more hours of driving through hundreds of river beds and past thousands of pretty waterfalls, we reached our night stop, Lachen’s twin - Lachung, perched half way up the “other” valley in North Sikkim. As we had planned to spend two nights in Lachung, we could make a more leisurely trip to the end of the said valley, which incidentally has a name, rather famous one that too – Yumthang. The extra night at Lachung also gave us a chance to drive past the end of Yumthang valley, up to a mountain pass called the Zero Point, sitting at a relatively humane altitude of 4,600 m. No, no one seems to know what is so zero about that point. 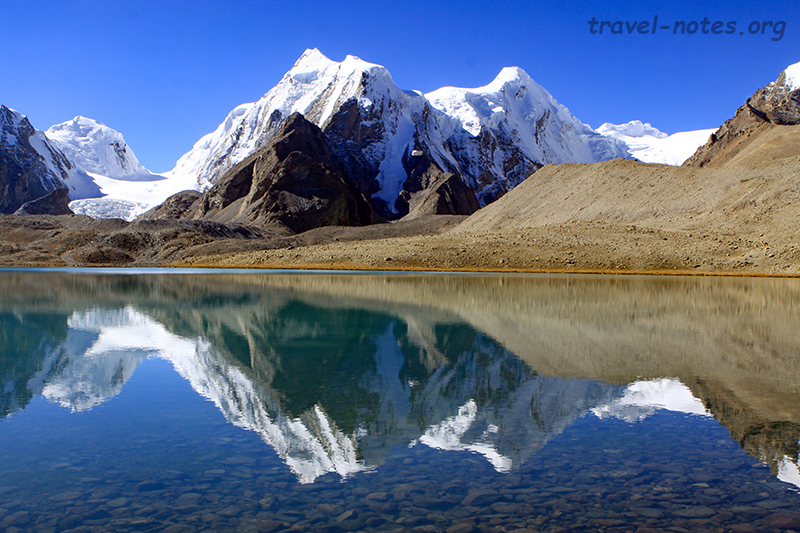 Unlike Gurudongmar, the destination has nothing great to write home about, but journey has enough to revive the postal departments around the globe if tourists attempted to write home about them. If only they could be convinced to write instead of type or click. The entire drive was a never ending array of one screen-saver view after next. All of the following day was spent driving back to Gangtok – mostly along the same route that we took on the first day. The scenery that stunned us on the way up looked remarkably pedestrian after the highs of Gurudongmar and Yumthang. Now that we have done East and the North, South was next on our radar. 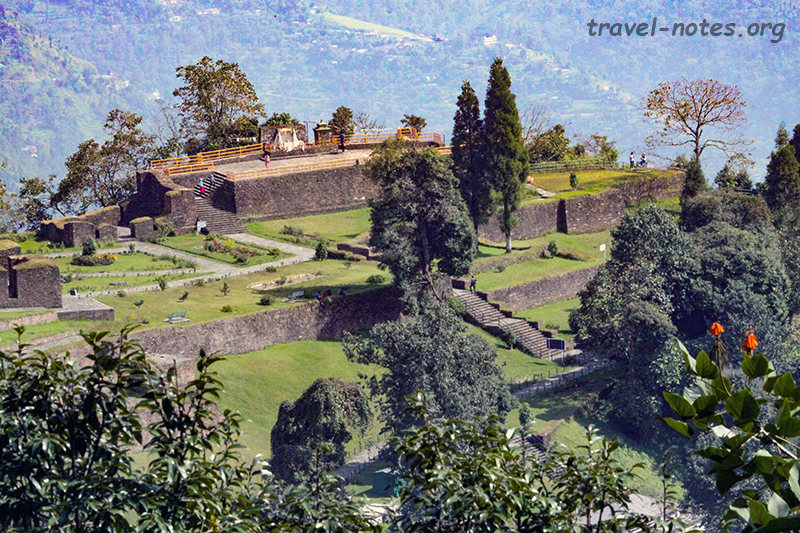 It is small enough to be covered as a drive-by destination as we make it to West Sikkim from Gangtok. Someone seems to have concluded that Sikkim has no attraction for the tourists and where the nature has failed man has to step in. Stepped in he has by stomping his presence all over South Sikkim. Strangely enough the end result is not all that bad. One can check out these man made attractions in the chronological order as you take the long route towards West. The first is the only tea garden in Sikkim, Temi. After taking a much needed tea break, especially for the driver who somehow managed to doze off on such scarily winding roads, we headed to Namchi where there seems to be a competition to build tall structures. 2km before Namchi stands the 45m tall Statue of Padmasambhava. Built in 2004, it is the tallest statue of the Buddhist monk in the world. At Namchi is the 33m tall Shiva statue lording over a sea of temples, including the replicas of the char (four) dhams across India. As explained earlier, no one really knows what a dham is or why there is only four of its kind in the world. Even grander is the brand spanking new Sakhyamuni Buddha complex in Rabongla, where a 41 m tall Buddha meditates within a perfectly manicured gardens. After gawking at these structures, we made our way to Pelling where we could finally rest our aching necks. Pelling (and the nearby Yuksom) are the closest you can get to Kangchenjunga in the comfort (well, relatively speaking) of a vehicle. If you want to get any closer, you need to haul your weight for a week up the Goecha La pass. The clouds that disappeared from Gangtok a few days ago decided to gang up against us in Pelling, but thankfully they were a bit lethargic in doing so and we got some decent views of the range up close early in the morning. After eventually losing Kangchenjunga to the clouds we headed to check out the other stuff West Sikkim had to offer. The natural bit includes getting sprayed over by the roadside Rimbi falls, deafened by the roaring Kangchenjunga falls, spiritually cleansed (no, I don’t know what that means either) by the sacred Khecheopalri Lake. The man made bit is dominated by the 1705 Pemayangtse Gompa, the oldest monastery in Sikkim and also the most significant of the Nyingma sect of Tibetan Buddhism. The lesser known nearby Rabdentse ruins, the capital of Sikkim between 1670 and 1814, is where we spent the last afternoon of our trip enjoying the fabulous hilltop views contemplating where we should have breakfast, lunch and dinner, the only things to look forward to during the day long return journey that awaited us the following day. History says that Sikkim joined the Indian Union in 1975 after a referendum which is either considered hogwash or a shining example of democracy (depending upon your political leanings). I joined the Indian Union a year later in much less controversial circumstances. 40 years on, her red hot smoking beauty is still filling up many a calendars, while I am the graying man going through a mid-life crisis. She got a million visitors last year and I got precisely none. Some things are best not compared. 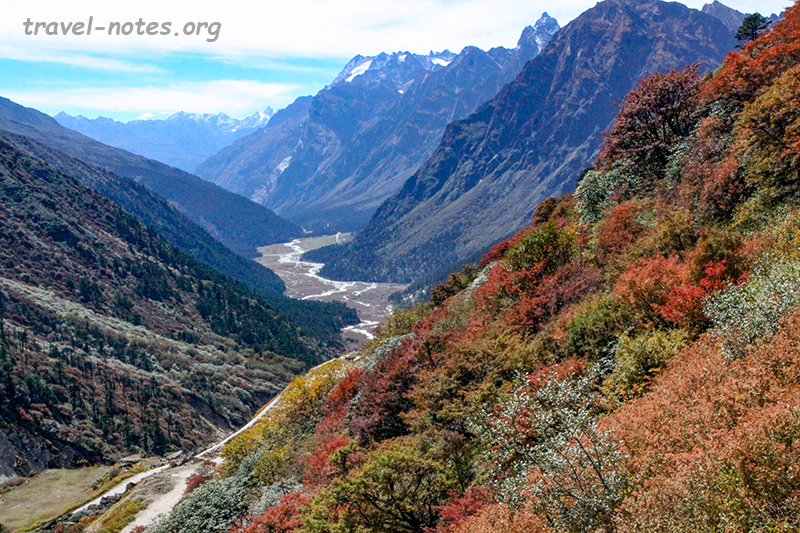 Click here for more photos from East Sikkim. 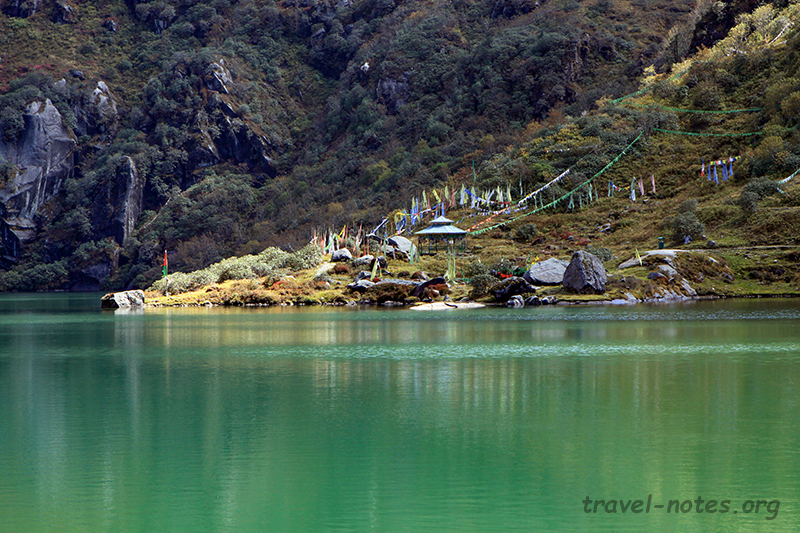 Click here for more photos from North Sikkim. 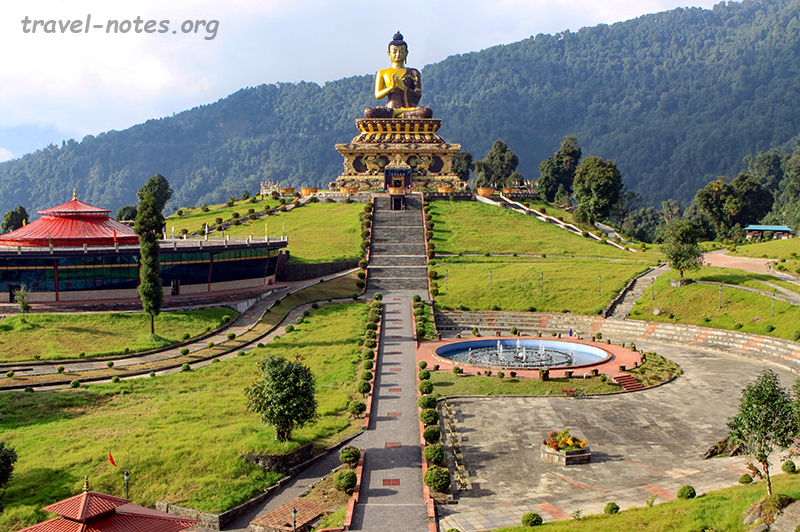 Click here for more photos from South & West Sikkim.